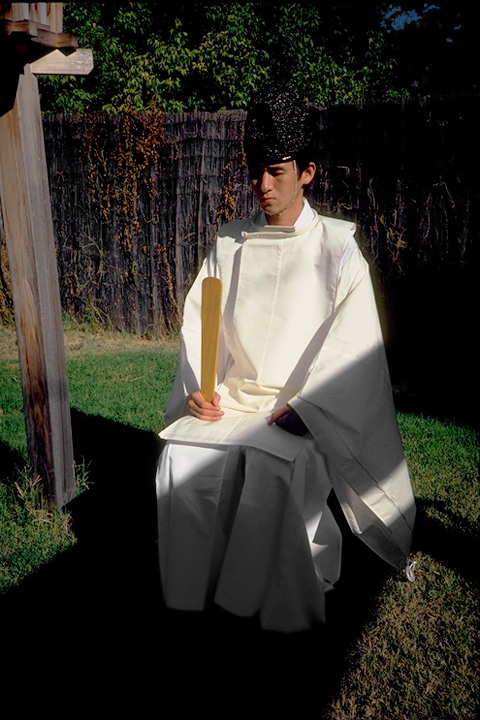 On July 16, 1969, the Reverend Yukitaka Yamamoto, a high priest of the Shintō tradition, dressed in immaculate white robes and pointed black hat, performed a traditional Shintō ritual of offering and prayer at the United Nations in New York City. The prayers were for the success of Apollo 11, the American space mission which would see human beings stand, for the first time, on the moon. Shintō, the “way of the kami,” is a tradition indigenous to Japan. Some may translate the term kami into English as “god,” “deity,” or “spirit,” but kami eludes an easy translation. The kami are everywhere and myriad. They are known by both presence and power, the sense of “divine presence” that rests upon or dwells in a particular place, the “holy power” manifest in nature or abiding in a shrine. In the shrine, the kami are not depicted in image form but symbolized most commonly by a mirror. Japan is alive with the presence of kami. Kami dwell naturally in trees and fields, mountaintops and seashores, rivers and waterfalls. They are “called down” to dwell in the multitude of domestic and public shrines, shrines in parks and factories, shrines on the roadside and byways. Traditionally, kami were also associated with Japan’s clans. Particularly great human beings may be enshrined as kami after their death. And today, the charismatic founders and leaders of Japan’s many new religions are often considered kami. One of the oldest and most important kami shrines is surely the famous Ise shrine, housing the Sun Goddess Amaterasu, who is linked to the mythic creation of Japan, to its royal family, and to its sense of national identity. The eighth century mythic histories, the Kojiki and Nihonshoki, tell the story of creation and Japan’s mythical descent from Amaterasu. If Ise is the shrine of the Sun Goddess, Tsubaki is the shrine of the Earth. Located in western Japan, the Tsubaki Grand Shrine has pioneered in establishing a Shintō shrine in America. In addition to these two important shrines, there are said to be over 85,000 Shintō shrines, or jinja, in Japan. While the way of the kami is ancient, the name Shintō came into use only in the sixth century, after the Buddhist tradition came to Japan, as a way of designating in particular the ways of reverence associated with the kami. 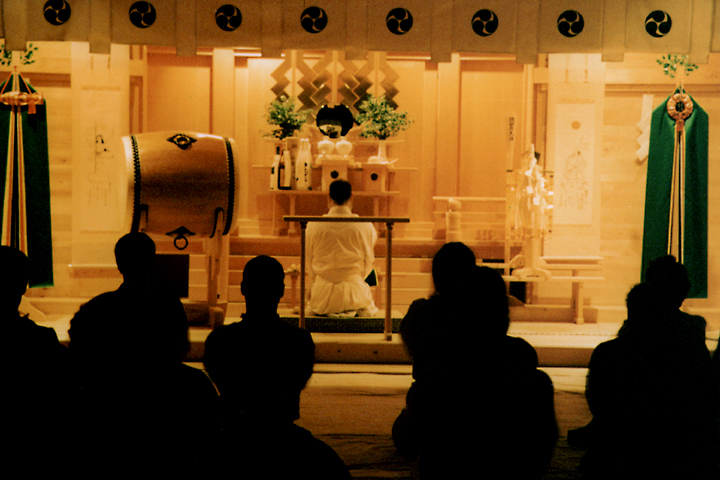 The Shintō and Buddhist traditions are not mutually exclusive, but rather entwined in the religious ethos of Japan. Many of those who go to a Shintō shrine to revere the kami, will also go to a Buddhist temple. A home may well contain both the kamidana, the altar for the kami, and the butsudan, the Buddhist memorial altar. 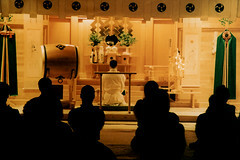 If a birth, a wedding, or a groundbreaking involves the participation of a Shintō priest, a death or memorial service may involve the Buddhist priest. Shintō refers to several contexts of practice. In addition to the shrine traditions, sometimes called “Shrine Shintō,” there is “State Shintō,” which emerged after 1868, when the Meiji monarchy attempted to disestablish the prominence of Buddhism and restore Shintō as the foundation of the modern state of Japan. More recently, among the many “new religions” of Japan, there are several which draw on distinctively Shintō traditions, but have created communities of religious identity drawn together by a charismatic leader and sustained by an emphasis on the tradition’s healing power. These are referred to as “Sect Shintō,” including such movements as the Kuruzomikyo, the Tenrikyo, and the Konkokyo, the latter two of which have developed a few centers in the United States in recent years. This conviction led Rev. Yamamoto toward interreligious dialogue and international networking. Beginning as early as the 1930s there was frequent contact between the Shintō priest at the Tsubaki Grand Shrine, at that point Rev. Yamamoto’s father, and the Unitarians, both American and Japanese. Internationally, this relationship between Shintō and Unitarian (later, Unitarian Universalist) traditions has been developed through the International Association for Religious Freedom in which both are actively involved. The Tsubaki Grand Shrine has become a frequent stop on the travels of Unitarian Universalists, many of whom undergo the misogi purification ritual, placing themselves under the waterfall on the grounds of the Shrine. 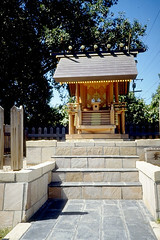 The Tsubaki Shrine of America was incorporated under California law in 1979, and the Tsubaki America Grand Shrine in Stockton was dedicated in 1987 by Rev. Yukitaka Yamamoto. In 2001, the Tsubaki Shrine of America merged with Kannagara Jinja to form the Tsubaki Grand Shrine of America, located in Granite Falls, Washington. The original objective of Rev. Yamamoto in building the shrine in Stockton—“to introduce Shintō effectively, so friends outside of Japan will understand what I call the universality in Shintō”—remains.